Like most prominent filmmakers, Walt Disney was a pioneer of cinematic innovation, and when the success of animation marked a new turning point in filmmaking in 1937 with “Snow White And The Seven Dwarfs,” the idea of blending classical music and detailed hand drawings in the movies was an experiment too promising to ignore. Over half a century after that test, his endeavors are proudly recognized across the globe; the now-legendary production of “Fantasia,” originally dubbed by Disney “The Concert Feature,” remains the benchmark for the continuing growth of animation and the imaginative minds that help bring it to life. Few people are able to see the picture (or rather, the event) and not remember the beautiful, colorful images that visually represent the brilliant musical compositions of composers such as Beethoven and Bach. In most respects, the perception of Mickey Mouse wearing the magician’s hat has become the perennial Disney trademark. Walt’s original dream, however, was to keep his “Fantasia” experiment an ever-changing work in progress, where new segments would be added every few years of release. But since the original film financially flopped in theaters, and future projects would only allow limited budgets, the plans for new “Fantasia” segments were put on hiatus until further notice. Unfortunately, Disney died long before any of those plans were put back into motion. In the years to follow, “Fantasia” has returned to the theaters, stronger and more appreciated than ever before, with new generations acknowledging it as the innovative experiment Disney had originally hoped it to be. Thanks to its renewing success, which eventually took in profit for the studio, Disney revived its plans to wake “Fantasia” from its deep sleep in the late 80s by setting new pieces in production exclusively for a new film scheduled for release in 1996. Technology and money issues, of course, incessantly pushed the release date back, and as the project was nearing completion, the studio finally settled on the date of January 1, 2000, giving an excuse to dub the new experiment “Fantasia 2000.” And like his uncle, executive producer Roy Disney was also in pursuit of an unorthodox method of releasing the test (a similar search made “Fantasia” the first movie in theaters to use a form of stereo surround sound). 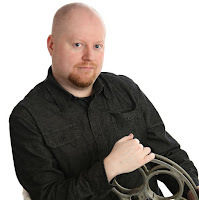 He opted to have the film released on the large IMAX screen, which is now famous for its ability to make viewers feel like they are living the screen journeys. Given the history of most IMAX screen presentations, though, the idea of an animated studio film playing on the six-story high screen seemed rather impossible. But you know what they say in the movies: expect the unexpected. The immense IMAX presentation of “Fantasia 2000” was undoubtedly a wondrous sight to behold, because the newly-released print alone, playing for four weeks on local multiplex screens, is one of the most impressive marriages of music and animation since the original film. But colorful pictures and vibrant orchestrations are secondary qualities here; the foremost success is owed to the preservation of Disney’s original purpose, which was to use the classic music as an mechanism to bring our imaginations to illustrious life. Such intent was what made “Fantasia” a classic, and what makes “Fantasia 2000” one of the finest achievements of the new millennium; the segments are energetic, intricate, fun, exciting, and tell imaginative stories using suitable music as their filters into reality. The movie contains only eight pieces (some of which are rather short), but that is to be expected, given the enormous size of the IMAX film print to which it was optimized for (a longer film would only cost more). The opening segment comes from Beethoven’s magnificent 5th symphony, and, like the opening segment of the first “Fantasia,” is set to abstract images: a template for how the mind’s pictures tend to appear while listening to the notes play. Following its footsteps is Ottorino Respighi’s symphony “The Pine Of Rome,” which serves as inspiration for a story of a colony of CGI-animated whales, who take flight in the air when a nearby solar disturbance intrigues them. Each of the cuts features its own diverse style and mood, and two of the best are, not surprisingly, the “Rhapsody In Blue” and “The Firebird Suite.” Not just memorable for its musical backdrop, the “Rhapsody” segment adopts a simplistic style of thick lines, plain colors and flat backdrops to take glimpse at New York City during the depression era, when dreams were the only thing left to hold on to. Meanwhile “The Firebird Suite,” one of the finest musical pieces ever written, inspires the story of life, death and rebirth from a natural perspective, where thriving plants and animals are collapsed by the eruption of a volcano, then reborn in the wake of absolute desolation. The foreboding tone of this tense piece serves as sort of a climax for the film in general. Similar success is attained by the pairing of classic music and familiar stories with ironic twists. Elgar’s “Pomp And Circumstance,” for instance, is given a biblical treatment through the Noah’s arc legend, in which Donald Duck portrays an assistant who monitors all the creatures on board. Likewise, Shostakovich’s “Piano Concerto No. 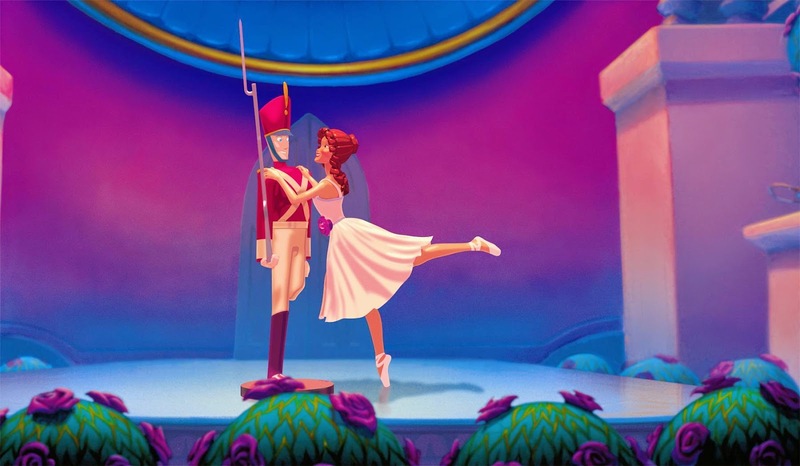 2” is set to the famous story of Hans Christian Anderson’s “The Steadfast Tin Soldier,” and even though the grasp of his plot is altered slightly on screen, the music’s upbeat ending gives animators the right to modify the climax. Keep an eye peeled for some familiar faces, too, as “Fantasia 2000” saves one of the original segments in its lineup: “The Sorcerer’s Apprentice.” Is this a necessary thing? In a way, yes; there are better segments that could have been kept this time around, but whenever the word “Fantasia” comes into discussion, Mickey Mouse’s visage of a sorcerer’s apprentice is the first thing most tend to think of. The inclusion, in any case, honors the memory of its predecessor. 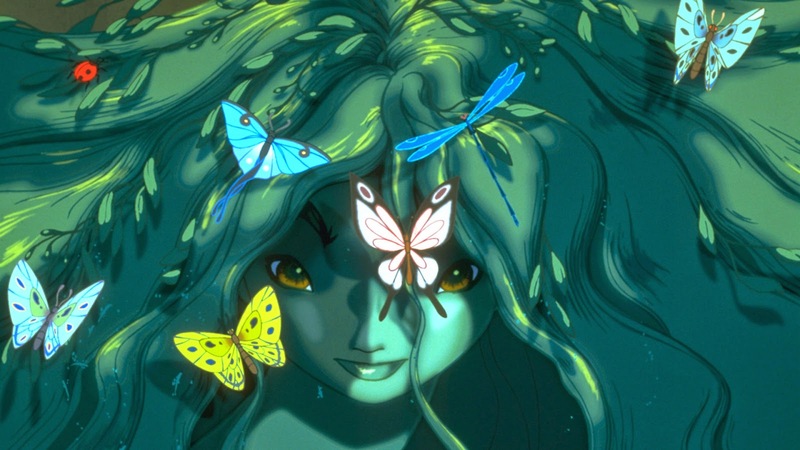 “Fantasia 2000” is a masterwork, blossoming with beauty, nostalgia and pure energy, further implementing that the possibilities in movies are unlimited (particularly those that are animated). My only hope is that Disney’s experiment with merging animation and music does not end here; in the foreseeable future, new segments and movies should be put into production. The evolution of animation is a never-ending cycle, and there are thousands of pieces of music still waiting to get visual treatments. Why wait another 60 years to put those plans into motion? We aren’t getting any younger, you know.